Grape stalking, the residue of wine production, was tested in new applications by researchers from CICECO / University of Aveiro (UA) and the Polytechnic Institute of Viseu. The production of pellets for burning in domestic heating equipment, flooring, slabs for the furniture manufacturing and newsprint are some of the tested applications that open good environmental and economic prospects for the wine industry by-products. Considering the environmental and economic advantages of waste recovery, a team of researchers from the Department of Chemistry analyzed the constitution of the grape stalkings and tested the result in various types of application. The project was called "CHEMGRAPE - Evaluation of grape stalks and skins residues in chemical processing for valuable products". For the first time, the application of grape stalks to pellets for burning in heating devices has been studied and it has been found that the energy consumed in this transformation is 25% less than that used to transform resinous wood biomass into pellets. The pellets density and durability is very similar in both cases, with the particle density being higher in the case of grape-stalks pellets but slightly lower in calorific value (16.7 MJ / kg versus 18.2 MJ / kg from resinous wood pellets). Composed mostly of cellulose (30%), hemicelluloses (21%), lignin (17%), tannins (about 16%) and proteins (about six percent), the fibrous structure of grape makes presume advantages in biocomposites. 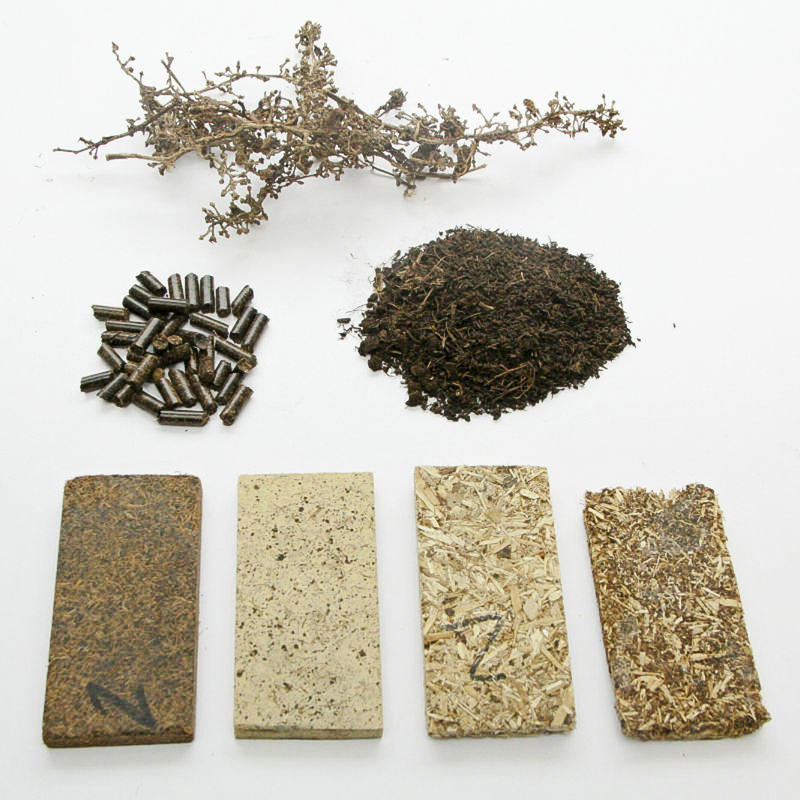 In fact, after applying a refining method to produce fibrous material, the results revealed excellent physical resistance, recommending the use in the production of paper products or biocomposites. In particular, applications of grape stalks in the production of MDF slabs and particle agglomerates (or agglomerated wood) as a single ingredient, or mixed with fibers or particles of pine have been successfully tested. 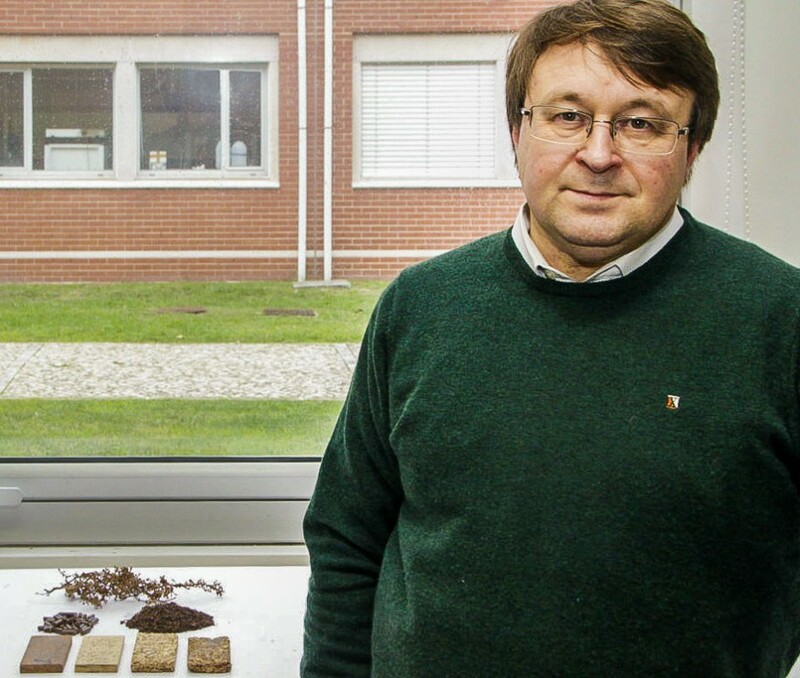 The CHEMGRAPE project was developed by Dmitry Evtuguin, a CICECO researcher and professor of the Chemistry Department of the UA, and by Luísa Paula Cruz-Lopes, researcher from CI & DETS and the Environment Department of the Polytechnic Institute of Viseu. The Foundation for Science and Technology and the program COMPETE were the funders. The TAVFER group was a partner of the project. Given the expressiveness of the wine sector in Portugal, these results may be of great interest to the national economy.